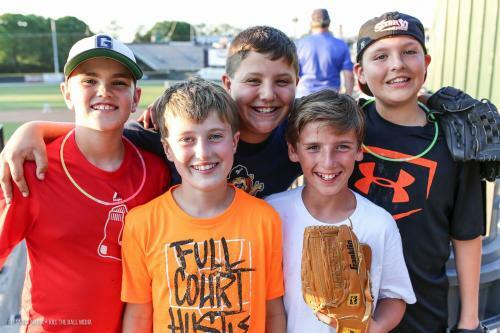 Give your child the birthday he or she will always remember by celebrating with the Worcester Bravehearts! Entry to the left field buffet tent for an all-you-can-eat "Bullpen Buffet." Download 2019 Birthday Party Order Form below for the full buffet menu. Special menus available upon request - please inform us of any allergies when booking. Hanover Insurance Park is a peanut-free ballpark. Minimum of ten attendees. Space is limited at the ball park and many nights will sell out. Please book early to be sure your first choice of games is available. You can reach our front office at 508-438-3773 with any questions or to book your child's event.